January 5th show : Blog Of The Nation In the first hour of Talk of the Nation, the political junkie and the new congress. In the second hour, the challenges and stigma of surrogacy, and the new edition of Huck Finn drops the "n-word." It's the first day of school for the 112th Congress -- and with a Republican-led House, more than a few things are set to change. Political Junkie Ken Rudin joins host Neal Conan to detail the Republicans' agenda, the Democrats' strategy on issues from health care to the filibuster to the deficit. We'll also look at how the culture of Congress has changed over the past twenty years. After several failed attempts at in vitro fertilization, author Melanie Thernstrom and her husband, Michael, chose to have children with a surrogate. So that her kids would be the same age, she chose two surrogate mothers to carry eggs from a single donor. In last week's New York Times magazine, Thernstrom tells the story of her desire for children and the birth of the son and daughter she calls "twiblings." Melanie Thernstrom and one of her surrogates join host Neal Conan to talk about the process, challenges and stigma of surrogacy. 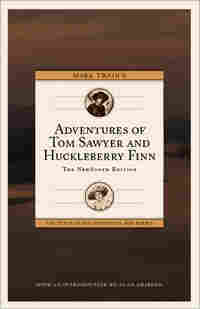 Mark Twain's classic novel 'The Adventures of Huckleberry Finn' gets an update next month -- without the "n-word." An Alabama-based publishing company will replace the epithet, which appears 219 times in the novel, with the word "slave." The new edition will also include a version of 'Tom Sawyer' without the term "Injun." Many view the language used as an integral part of the story which depicts all of the violence of slavery. But for decades, the novel has been disappearing from school classrooms and libraries. Twain scholar Alan Gribben says replacing the words will "counter the 'pre-emptive censorship'" that he observes and allow more students to experience the classic books. Neal Conan talks about reaction to the edited versions of Twain's popular work.